Sri Aurobindo, The Human Cycle pg. 59. The Mother's Fragrance Foundation was founded June 18, 2004 and aims to develop and support projects and activities which have an exemplary function in order to encourage imitation. The projects are in various fields such as education, agriculture. 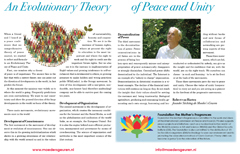 peace and social development. The tax department regards the Mother's Fragrances Foundation as an institution referred to in Article 24 paragraph 4 of the succession law. Donations to the Foundation the Mother's Fragrances are therefore tax deductible. 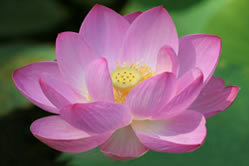 The Mothers Fragrance Foundation is a sister organization of The Mother's Service Society, Pondicherry, India. The Mother's Service Society is a 'Social Science Research Institute' which has been founded in 1969 and is recognized by the Government of India. Projects currently supported can be found in the blocks below. Nov 2018. An article about the pragmatic view on the Evolution of Life written by Robert van Harten, chairman of De Moeder's Geuren. Published in the World Academy of Art & Science (WAAS) Cadmus e-journal on november 1st 2018. Read the article as PDF. 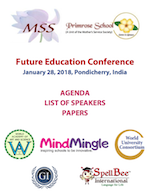 A report from the Future Education Conference of 28 January 2018, held in Puducherry, Tamil Nadu, India. 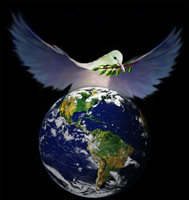 "The advent of a World Peace Army is a matter of time and ensures the peace and welfare for all mankind"
"The World Army is the symbol That we have outgrown war. The World Does Not because Army to fight. It is so constituted is That Does Not have to fight. It Compel not to fight other armies. The World Army is the army That first is truly invincible. " Given the help that can make good use of the bees in the Netherlands, is part of the donations (which we also gain from the sale of beeswax products) for the reintroduction of the indigenous Black case in the Netherlands. Meanwhile, there are thus four Black Bee nations joined in Netherlands! Given the help that the bees in the Netherlands can use, a part of the donations (which we also gain from the sale of beeswax products) is used for the reintroduction of the indigenous Black Bee in the Netherlands. 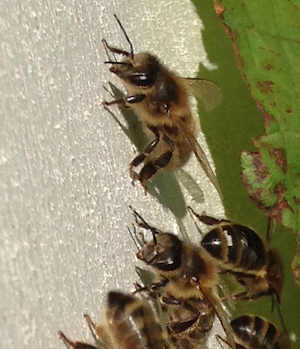 At the moment there are already 16 Black Bee colonies in the Netherlands! May 2018. An article about the untenability of Falshood written by Robert van Harten chairman of De Moeder's Geuren. Published in the e-journal Cadmus of the World Academy of Art & Science (WAAS) on 28th of May 2018. Read the article as PDF. We can imagine that by reading the information on the projects of the Mother's Fragrance Foundation you have been touched en became excited by these extraordinary projects. It is possible to donate or sponsor one of these projects. You can even select a project and indicate the part of which you want to become a donor or sponsor. 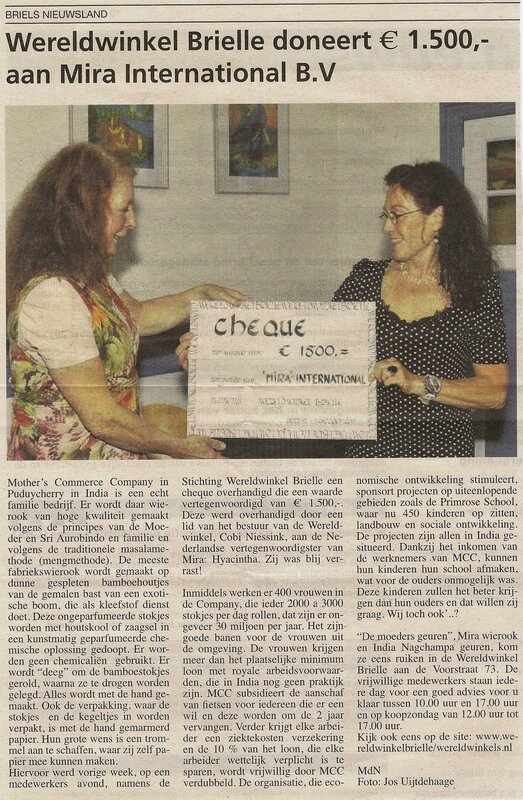 19.10.2011: Foundation Third World Store Brielle donates € 1500,=! May 2017. An article about the pragmatic view on the Evolution of Life written by Robert van Harten, chairman of De Moeder's Geuren. Published in the e-journal Eruditio of the World Academy of Art & Science (WAAS) on 4 May 2017. The Foundation in ODE Magazine! "An Evolutionary Theory of Peace and Unity"
Effective microorganisms, EM for short, is a mixture of common naturally occurring microorganisms. They provide for a greater harvest, tastier vegetables, more energy, healthier cattle, cleaner water ... without the use of chemicals, fertilizers and pesticides. The Foundation wants to stimulate the use of EM in India and Netherlands and set up and support pilot projects.